For the 2019 season the large RAM 1500 Laramie has been given even more attitude. Not something that would have been expected on a vehicle that was already over the top, but obviously the designers thought otherwise. The Laramie has a new design chromed grille in place of the ‘crosshair’ grille installed when Ram 1500 had its Australian launch last year. Chrome is also a feature on the tailgate, with huge 300 mm badging. And RAM 1500 Express has received a new reversing camera and trailer brake control. 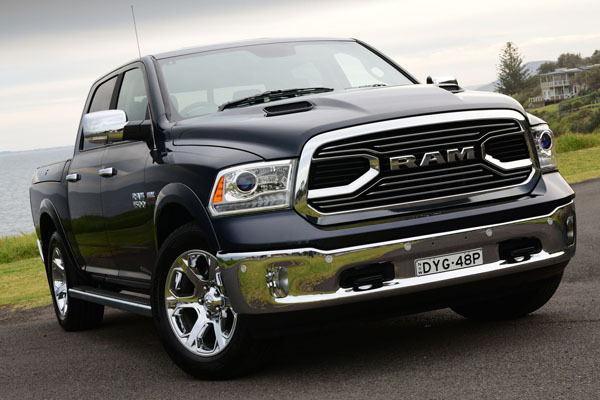 RAM power comes from a Chrysler’s Hemi 5.7-litre V8 petrol engine. 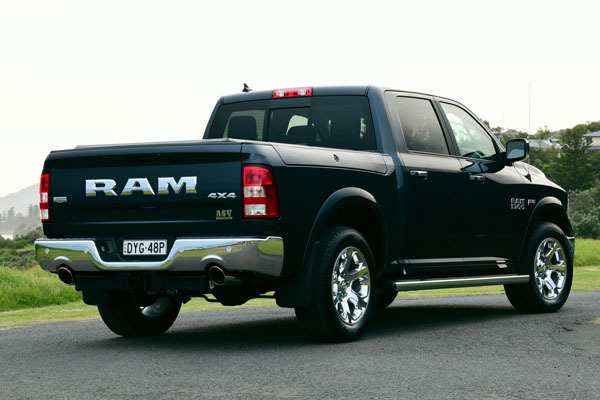 In RAM tune it produces 395 horsepower (291 kilowatts in Australian numbers) and 556 Nm of torque. Transmission is by an eight speed Torqueflite automatic with a straight through sixth gear and overdrives on seventh and eighth for easygoing touring. Both models have 4WD and low range, but the Laramie now has a more complex system for drivers who want to get serious off-road. 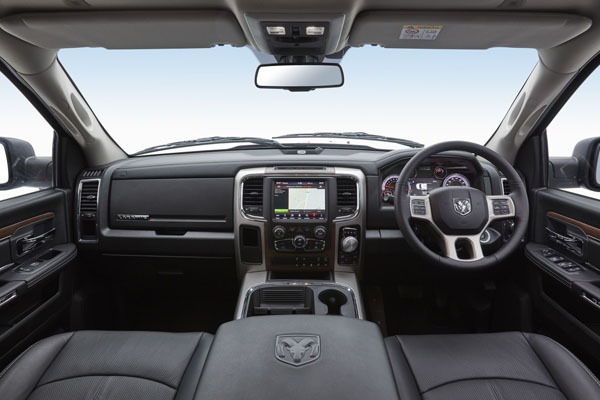 RAMs are imported to Australia ready to drive – except that the steering wheel and pedals are on the wrong (left) side. They are trucked to a purpose-built facility in Melbourne, where the body is pulled off the chassis and a total RHD conversion is carried out. “Since its launch last year the 1500 has proven to be the outstanding success for RAM in Australia that we expected, a point proven in February by the Australian production line achieving more than 200 vehicles re-manufactured in a month for the first time,” says Alex Stewart, General Manager of RAM Trucks Australia.